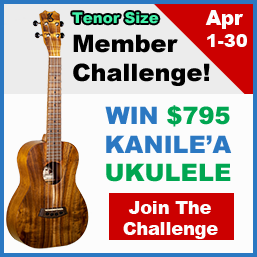 Participate in the April 2019 Member Challenge – WIN a Kanile’a Tenor Ukulele! Home Page › Forums › Monthly Member Challenges › Participate in the April 2019 Member Challenge – WIN a Kanile’a Tenor Ukulele! This topic contains 134 replies, has 43 voices, and was last updated by richo_uke 2 hours, 28 minutes ago. Here’s what I’ve got. I messed around with it a little, inspired by others here. It’s all plucked instead of strummed because I like the sound and need to workon cleaner plucking. A bit of back beat, a bit of repetition. Recording never gets a great take…. @lisadmh Very nice, loved the plucking and the backbeat. Has a great swing feel to it. Been a while since i did this, it will be good to pick up my ukulele again. Awesome to see you back, Tessie! 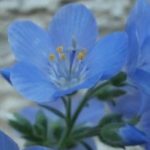 So here’s my challenge entry…a year into playing the ukulele. Even though this song only took an hour to learn and memorize, I was plagued with a lot of buzzing and muting in all the bar chords. I tried to minimize the string noise I normally get (sticky fingers) based on Andrew’s feedback for someone else, but I couldn’t get rid of it all. I AM A PREMIUM MEMBER. Are we supposed to state if we are a premium member or not? I pay on a monthly basis but I’m not sure if that is premium or if the single payment yearly is the premium membership. Please let me know which membership I have and if I can upgrade if I’m not already a premium member. If you are getting a monthly membership, or a yearly membership, and you are paying, then yes you have a Premium membership. 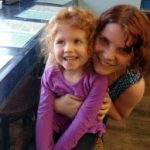 @tessa84 – Writing “I am a premium member” is if you want double entries in the April/May/June challenges for the chance to win the Kanile’a. It normally isn’t required to state. Correct. And as long as you have an active premium membership, as in it hasn’t expired, you are good to go! cncamacho – Well done! So you have a really strong base established, but it feels like it’s dragging a bit. So to fix this, I want you to focus on mastering 2 bar phrases at a time. So take the first 2 bars, get the timing down, then take the next 2 bars, get the timing down. Then practice bars 1 through 4. Use the same approach throughout the entire piece, and it will help you in keeping a steadier tempo. 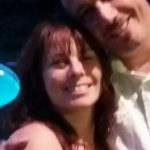 tessa84 – Awesome to see you back! And I dig the tone of the banjo 🙂 Check out the advice I left for Lisa above. I’d like you to try a little bit more of a relaxed feel as you play through the piece. Let me know what you think about that. kanae926 – Excellent job! 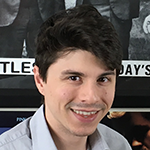 Here’s my feedback on when you improved the breaks and filled it in with a strum pattern. 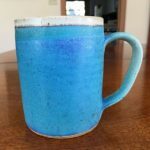 coffeemug – Here is my tip for you.